A change at the top is coming at National Fuel Gas Co.
National Fuel announced Wednesday that President and CEO Ronald J. Tanski will be stepping down and will be replaced by David P. Bauer, a member of the company's executive team since 2004. Tanski will retire July 1, 2019, after more than 40 years of service. He will continue to serve as a member of the board of directors. 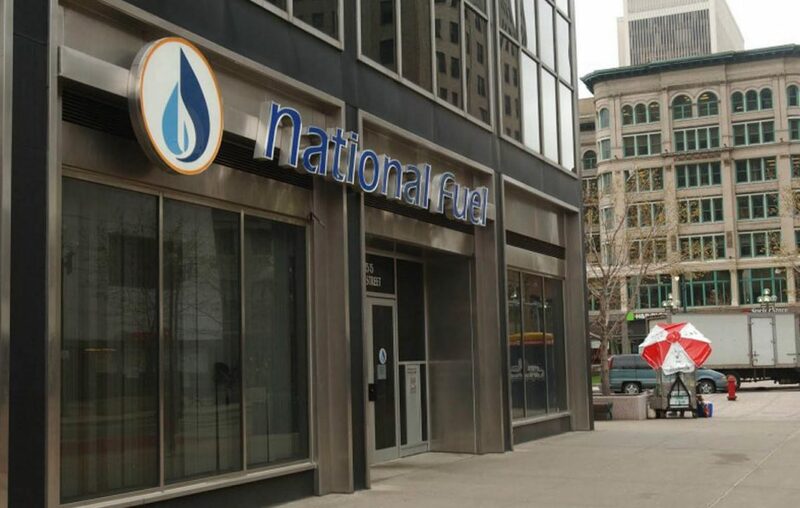 "I am pleased with National Fuel’s performance and prospects, and this shift in leadership is the culmination of many years of preparation," Tanski said in a statement. "I look forward to a seamless transition as Dave has been fully entrenched in and is familiar with all aspects of the Company’s operation and strategic direction as part of his role as principal financial officer since 2010." Bauer has served in numerous positions with National Fuel and its subsidiaries. Bauer,as president of National Fuel Gas Supply Corp. since 2016, has overseen the company’s pipeline and storage operations and interstate infrastructure modernization and expansion projects. Bauer, a Boston College graduate, joined National Fuel in 2001 after more than 10 years at PricewaterhouseCoopers and its predecessor. "When I joined National Fuel in the late 1970s, our industry and customers were facing record high energy prices, curtailments of natural gas supplies, and national reliance on imported natural gas and oil," Tanski said in a statement. "Today, we have a domestic abundance of oil and natural gas due to advanced shale recovery technologies. For the first time in nearly 60 years, the U.S. is a net exporter of natural gas and our utility customers are paying the lowest rates in decades because they are next door to the largest natural gas producing region in North America." "While much has changed, one thing has remained constant: the dedication of National Fuel and its current 2,100 employees to finding, transporting and delivering much-needed, clean-burning natural gas supplies safely and reliably to utility customers and others throughout our regional pipeline network," Tanski said. "I will be leaving the company in capable hands that are well prepared and committed to building value for our communities and our shareholders." Under Tanski, National Fuel has moved to expand its pipeline network bringing natural gas from the Marcellus and Utica shale regions in western and central Pennsylvania to markets in New York, Canada and the eastern U.S. The company in the last couple of years also has stepped up its natural gas drilling operations in Pennsylvania after briefly curtailing those initiatives because of low natural gas prices. “National Fuel is in an excellent position for the future," Chairman David F. Smith said in a statement. "During his tenure as president and CEO, Ron has continued our legacy of tremendous leadership, long-term focus, deliberate decision making, and financial discipline, resulting in ongoing growth and value for the company and benefits for shareholders."